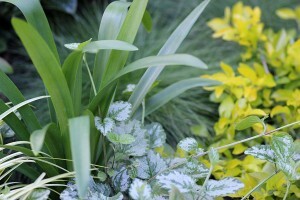 As is customary at this time of the month, I follow-up The gardening event of the month, Garden Bloggers Bloom Day, with a post highlighting the foliage that is flourishing in the garden. 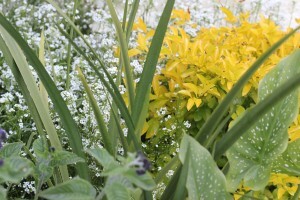 Pam at Diggings hosts the monthly Foliage Follow Up, a monthly gardening meme where Pam and other garden bloggers showcase the beauty of foliage in their gardens on the 16th of the month. 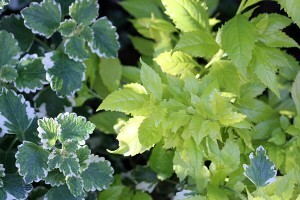 As I have become quite passionate about foliage plants this is one of my favourite posts to do every month. 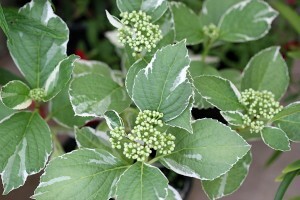 A new acquisition this month were a small variegated Hydrangea I bought (which was a half price bargain) which I’m planting in a very shaded corner that needs some ‘lifting ad Carex ‘frosted curls’ which I’m filling in a few blank spaces with where I want an evergreen “grass-like” look. 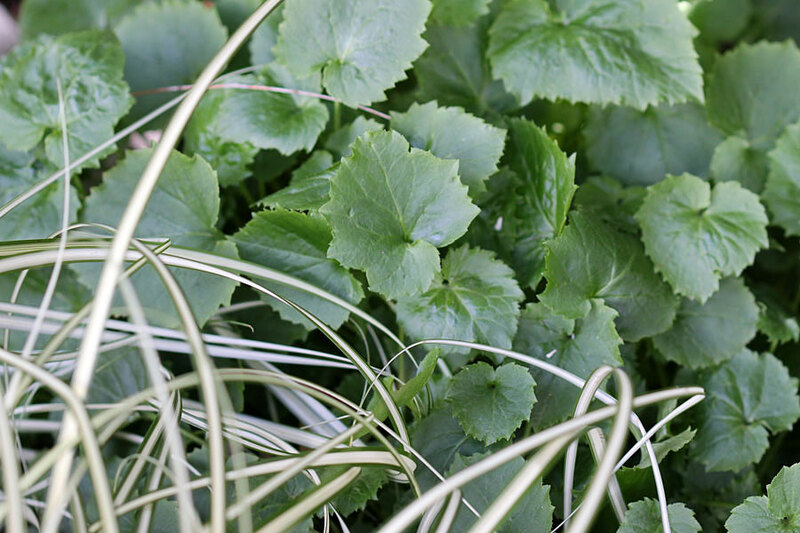 I like Carex for its mounding habit (and because it is so easy and thrives in shade – perfect for my garden). 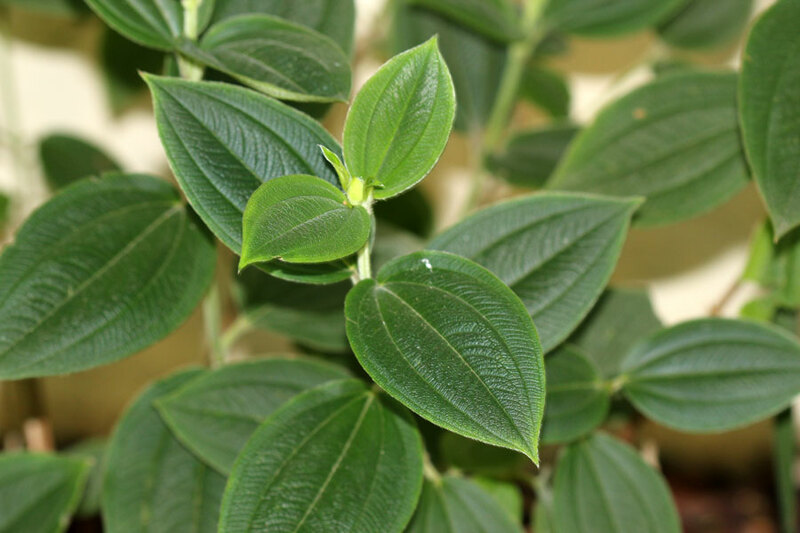 I’ve included a photo of the foliage of my Tibouchina because I am marvelling at how beautiful it is. This was a plant I moved because it was not doing well at all. In fact I thought it was history. We moved it to the back garden into a shaded spot against a wall and it has done an about turn – growing huge, lush leaves that are quite lovely. Sadly, no flowers, but I love the plant so I don’t really mind. And perhaps it will flower again some time. I am surprised at the lovely foliage of Cleome! 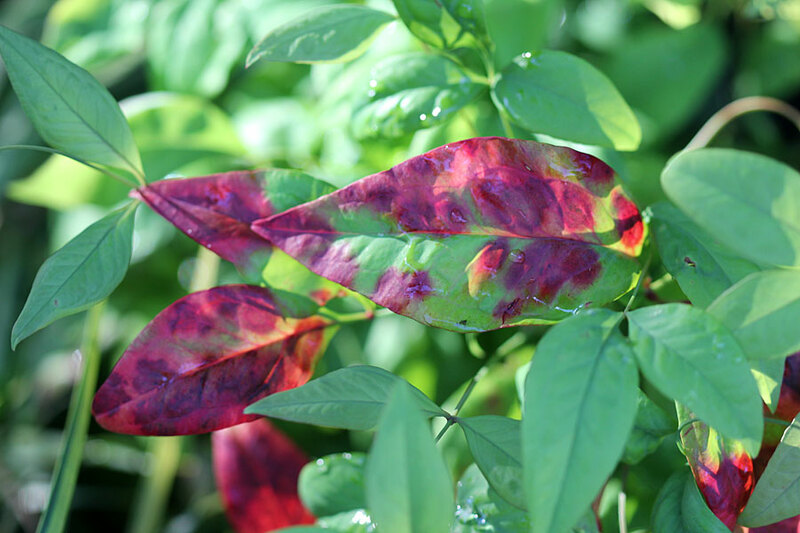 I’m quite amazed – looking back at my photos now, it’s quite fascinating how much colour and excitement carefully selected foliage brings to the garden. The biggest gardening lesson I learnt all year! Nice foliage! You showed us some very attractive combinations. I especially love Carex. I think it goes with everything in the garden. Christine, the variegation on your hydrangea is so wonderfully delicate–really gorgeous! I’ve begun to turn into more of a foliage fiend lately, too, though for me it’s more about counteracting winter doldrums. You certainly have a rich mix of colors and textures! I like the way you did this post–kind of like a collage, with comments on each element. 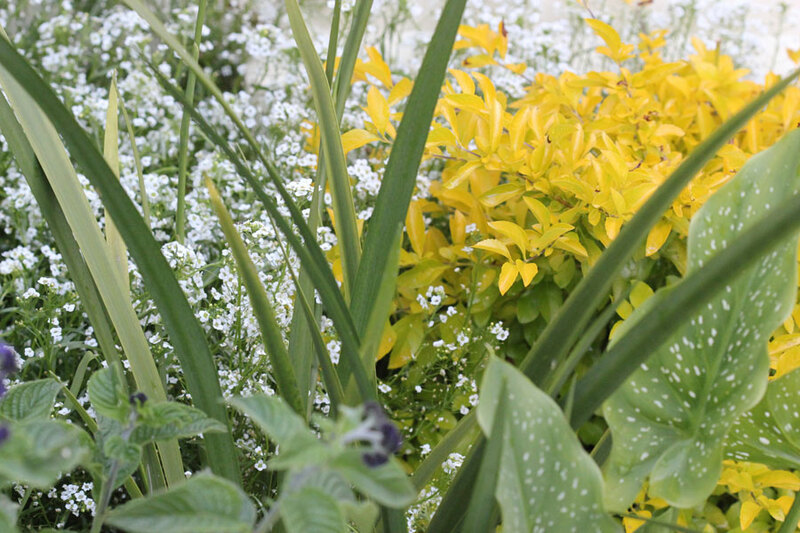 When you place the plants together like that, it’s easy to see the great variety you have in your garden. 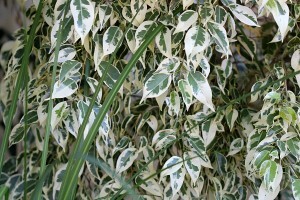 And to see how fascinating foliage can be! That’s absolutely beautiful foliage! They look so green and healthy! Nice collection. 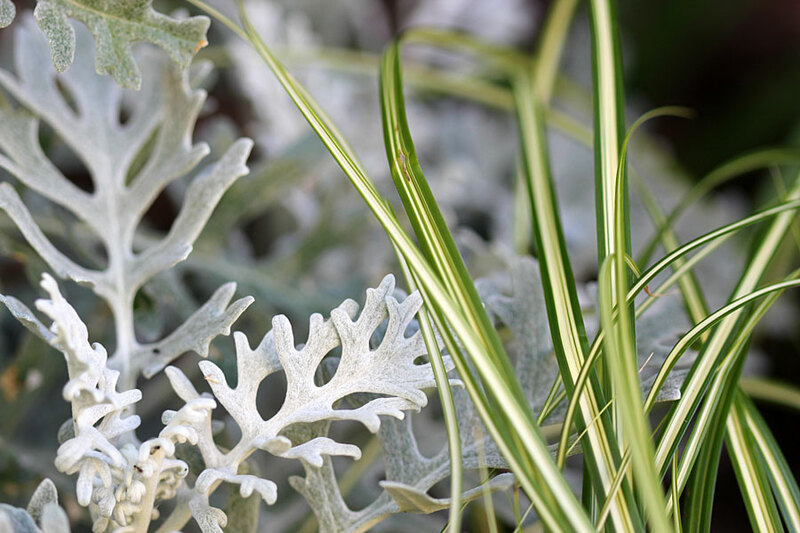 I think you have some great foliage combos and they really make pretty images too. 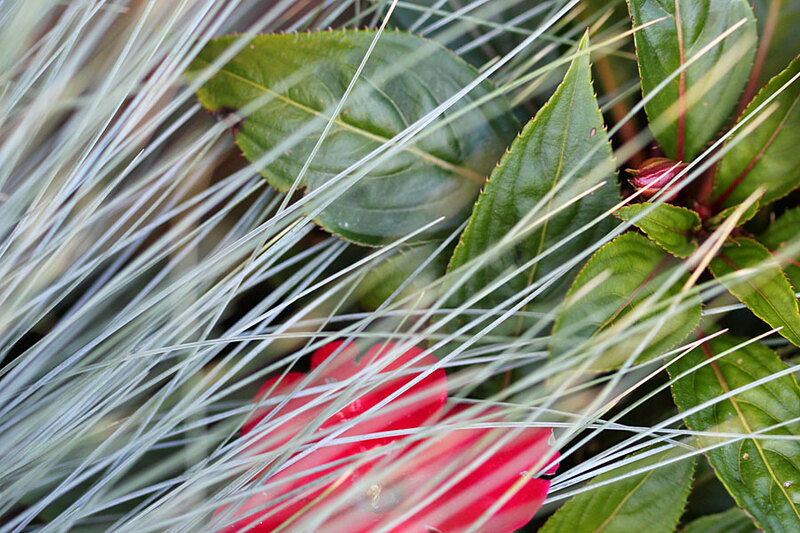 I can echo what you say about Carex, except it really is an invasive bully in a garden in our area. I can only plat it in contained beds. Your ‘biggest lesson learned’ is one of the hardest for most homeowners to grasp until they really see it in practice and so important for a successful garden design. Christine this Christmas will be bittersweet for you. Thinking of you, may your friends and family surround you with love and happiness! Thank you Diana – I’m dreading it. My Dad spent most Christmasses with us here in Cape Town. Hard just thinking about it. 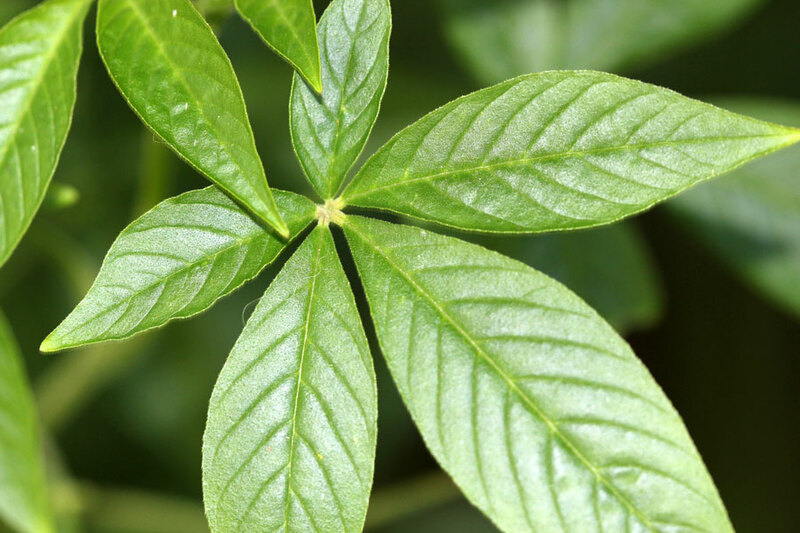 I love the Tibouchina leaves — have you shown those before? Really luscious! 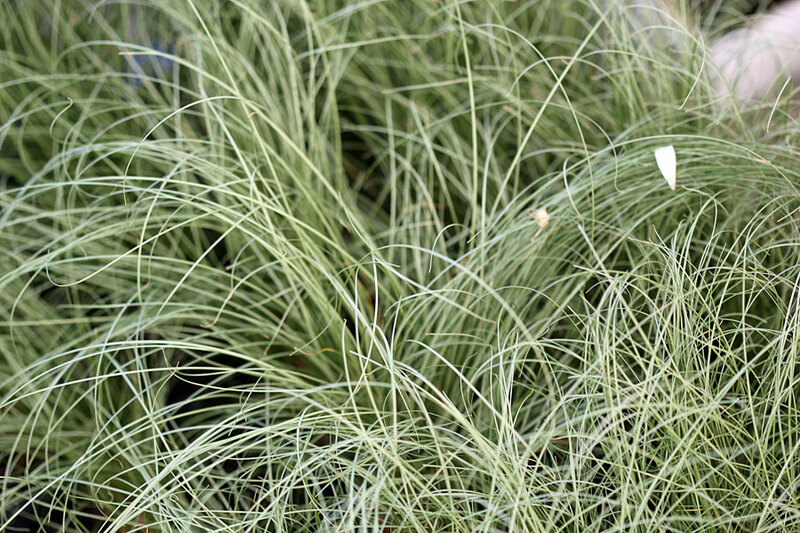 I love pretty much all Carex too, and that one looks like a winner! Garden Bloggers Foliage Day? Somebody wrote this post too early (or too late)! I haven’t show the Tibouchina foliage before because it looked so grotty, but I have shown the flower. Amazing the difference since I moved it, they (I have 2) have grown about 3 feet taller and produced these big luscious leaves in a short time (2 months). Planted at the back against the wall they should provide a nice screen there as they grow up. Would we stunning if they flower, I think they will as they get taller and then see the sun. Big lovely purple blooms – should look great. I’m so glad to hear that Foliage Follow-Up is one of your favorite posts to do! It’s especially wonderful to celebrate leafy goodness when it’s as pretty as yours. Love those Frosted Curls’ a lot! 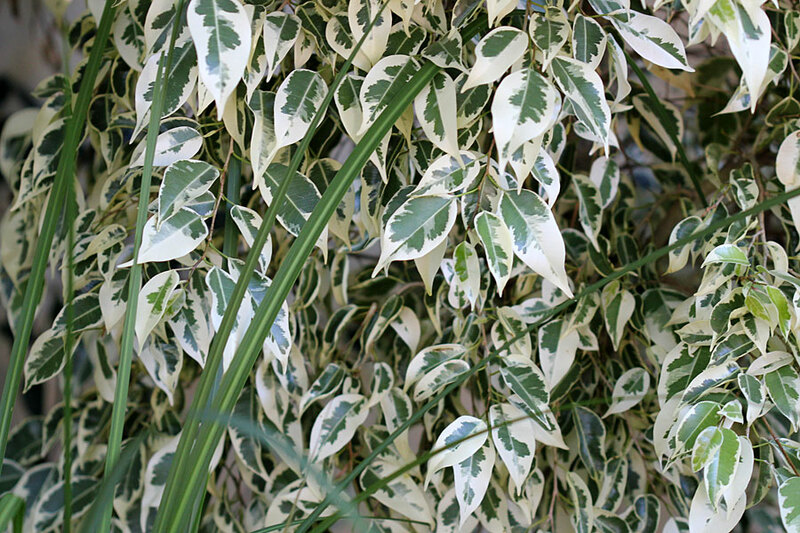 Hi Pam – absolutely, foliage is my new “hobby horse”. I look at the foliage these days before I look at the bloom of a plant. It is what has slowly transformed my garden into one I’m becoming quite proud of. 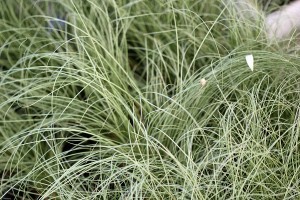 I love most of the Carexes … such easy, rewarding plants that provide a great contrast for other plantings.